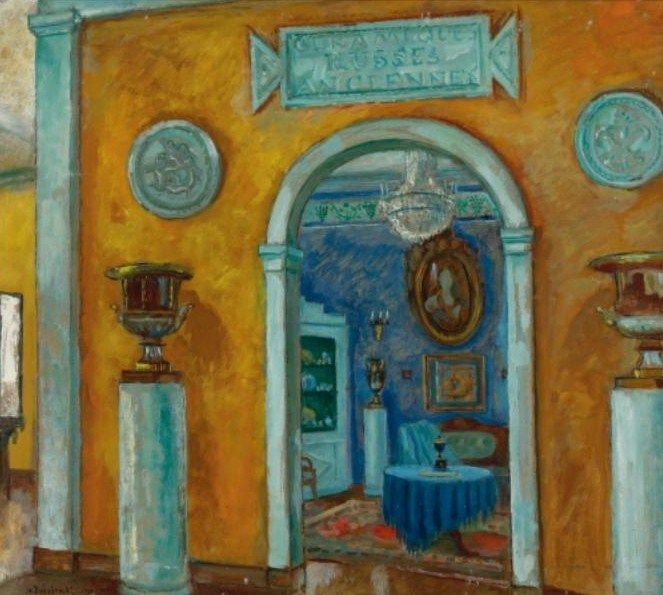 Provenance: Robert H. Ellsworth Collection, New York, acquired in Hong Kong, 1988. 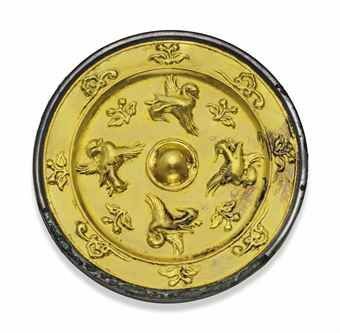 Notes: Compare the mirror of this type with four rather than five animals, which also appears to be quite thick, that was excavated in 1988 at Nanliwang village, Changan, Shaanxi province, illustrated in Zhongguo Qingtongqi Quanji - 16 - Mirrors, Beijing, 1998, p. 106, no. 104. 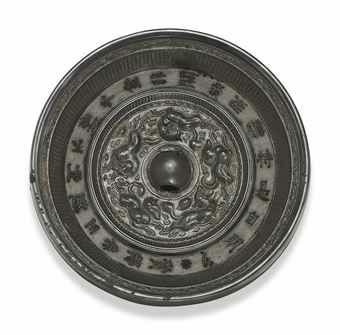 Another mirror of this type, also with four animals, is illustrated by T. Nakano et al., Bronze Mirrors from Ancient China: Donald H. Graham Jr. Collection, 1994, pp. 204-5, no. 73. See, also, the similar mirror of slightly larger size (12.7 cm.) with five animals from the Mengdiexuan Collection sold at China Guardian, 12 May 2011, lot 798.